The intricacies of marketing a National Football League (NFL) franchise were on full display at this year’s John Molson Sports Business conference held on Nov. 4. 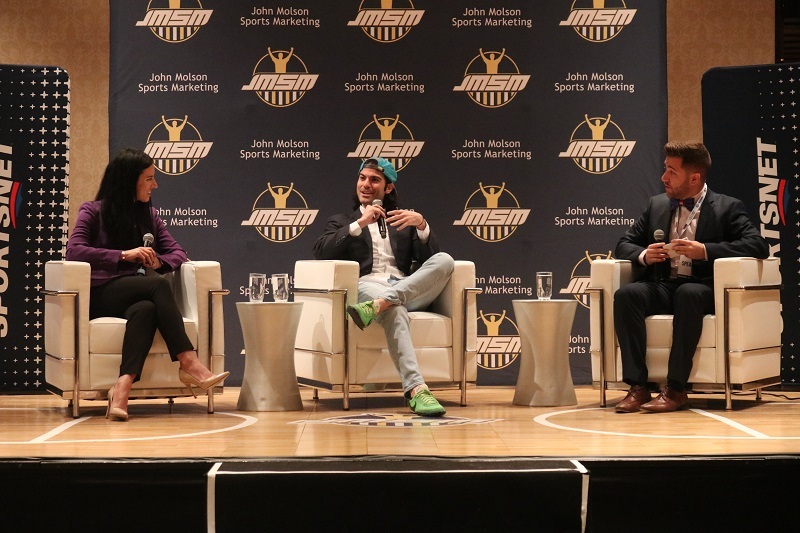 A panel, titled “4th and Goal,” was moderated by TSN 690’s Joey Alfieri, and featured Tanya Dreesen, the vice-president of partnership activation and special projects for the Minnesota Vikings, and Vincent Pannozzo, the director of digital and social content for the Miami Dolphins. Alfieri began the talk by asking about hosting a Super Bowl game. Dreesen and the Vikings will host the Super Bowl in 2018, while Pannozzo and the Dolphins will be hosting the game in 2020. Dreesen explained that hosting the Super Bowl is also unique because, as the host, you might not actually play in the game. However, it is still the best time to show off your arena and what kind of fan experience you can offer. Both Pannozzo and Dreesen said the services offered at the stadiums immerse fans in a new experience, and bring them beyond what’s happening on the field. Pannozzo echoed this sentiment, adding that the food experience is also an important part of the games. He said the Dolphins don’t just offer the classic sports foods, like hot dogs and burgers, but also fancier foods in certain sections of the stadium. Pannozzo added that as a social media and digital content manager, he is already planning for the 2020 Super Bowl. He said the team’s marketing strategy will begin right after the 2019 Super Bowl finishes. Pannozzo explained that social media is the best way to showcase your team’s brand, but in the past, social media was a bit of an enigma for people. “Social media used to be the stepchild no one knew who it belonged to,” Pannozzo explained. He later added that the Dolphins now spend all of their digital advertising budget on social media rather than television because that’s where the people are. For Pannozzo and Dreesen, the team’s performance on the field doesn’t affect the organization’s marketing strategy. Pannozzo said fans might not want to hear from the team on social media that much after a loss, but the team is always going to keep creating content for the web, regardless of the team’s performance. “Only on the actual day of the game does performance dictate what we do on social media,” he said. To end the panel, Pannozzo and Dreesen explained how their social channels and marketing strategies bring fans closer to the players. For them, it’s a way to extend past typical media coverage, and tell more meaningful stories.